I've already reset my password but it's still not working. This could be an issue with your browser's "cache" which can store passwords for you. Sometimes, when your password changes, it still logs you in with the old one. Go to the Tools or Options menu of your browser (it's different depending on whether you're using Internet Explorer, Firefox, Chrome or Safari) and find the area to clear your cache and stored passwords. 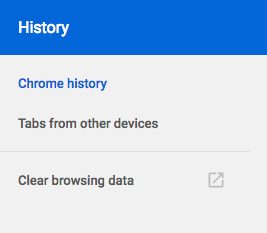 On Chrome, it can be done in the History section via Clear browsing data.